Giant Acorn Barnacle using it cirri to feed, Balanus nubilus,. 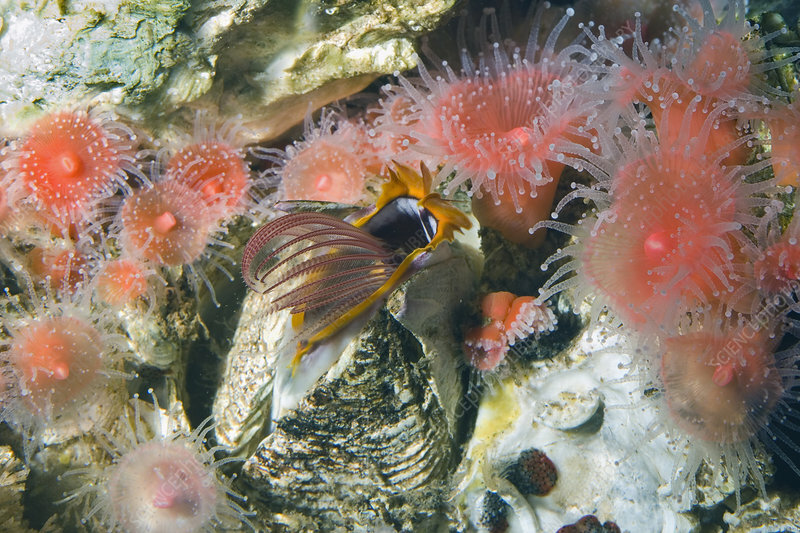 Strawberry Sea Anemones surround the Barnacle. California USA.